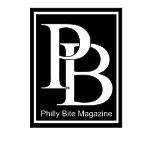 Philadelphia, PA - The 14th Annual Great Chefs Event Philadelphia is back on Saturday, June 8, 2019. The family-friendly affair brings culinary A-listers from all-around the country together for a mouthwatering event with proceeds going to the Alex’s Lemonade Stand Foundation (ALSF). Philadelphia, PA - Wawa in conjunction with The Rooster is proud to introduce “Hoagies for Hope,” a campaign featuring the “Broad Street Meatball,” a collaboration specialty hoagie with profits upwards of $10,000 going to benefit The Broad Street Ministry. Philadelphia, PA - On Wednesday, March 27, Jersey Mike's Subs anticipates sales receipts of a little over than $6 million — and will deliver it all to charity. This will be the company's 9th Annual Day of Giving when all 1,500 plus Jersey Mike's Subs locations nationally will donate 100% of its revenue to local organizations. Philadelphia, PA - No matter how you slice it, grilled cheese sandwiches have been a staple in American households, college dorm rooms and cozy diners since the first bowl of tomato soup felt lonely.